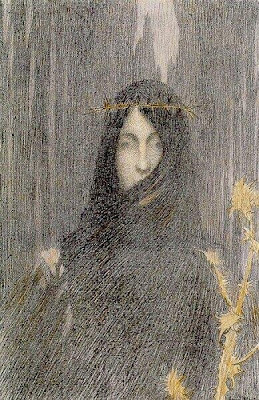 Henri-Jean Guillaume Martin was a French painter whose subjects tended to be drawn from the idealized historical characters and events dear to the Paris Salon, but treated with a post-Impressionist style that remained yet quite foreign to the salons at the time. He studied art formally under Jules Garipuy at the Ecole des Beaux-Arts in Toulouse; while there, he also studied with Delacroix. After moving to Paris in 1879, he worked and studied in the studio of Jean-Paul Laurens. 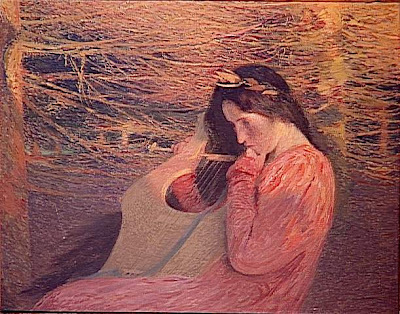 In many ways the technique was reminiscent of that of Georges Seurat: some critics see Martin as absorbing the radical painting styles of the Impressionists and post-Impressionists yet using those styles to create highly conventional paintings.